A day that is far removed from the USA mindset, yet is branded upon the hearts of Argentines. I spent two years in La Plata, Argentina working with Campus Crusade for Christ. During my time there I fell in love with the Argentines – their culture, food, and people. 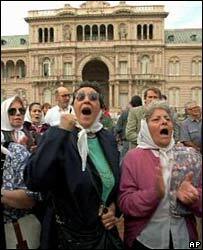 Today marks the 30-year anniversary of the military dictatorship that changed the face of Argentina. 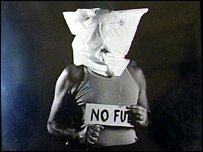 In just seven years (1976-1983), 30,000 people were tortured and slaughtered. Not many know about it – it has remained hush hush since the dictatorship fell. But the mothers who silently marched around Plaza del Mayo (in front of the President’s house) are finally getting their questions answered. There is a movie worth seeing that will help in your education of this horror. It’s called The Night of the Pencils . In one night, seven students were stolen from their homes between 12:30-5 am. 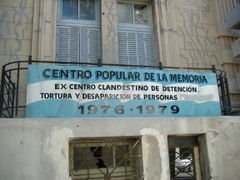 From August-October 236 university students were stolen from their homes never to be seen again – “deaspericidos” (disappeared). Endless rumors surround the torturing – where it happened, how it was done, etc. I have walked past one of the buildings it is thought to have taken place – now used as a classroom! Only Pable Diaz “reappeared”. The movie is based on his testimony. 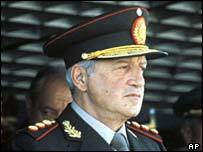 The BBC has an article giving a brief history of the dictatorship. If you are fluent in Spanish, go to Gustavo Carbonell’s site . There he shares some more. I am typically dissatisfied with the quality of articles that I find in the Perspectives mailer I get once a month. I took the Perspectives mission class a couple of years ago at The Bethlehem Institute and was challenged as several viewpoints were presented – of which I was supposed to choose (or remain agnostic!). Ralph Winter is the mastermind behind the Perspectives course. This morning I was pleasantly surprised as I worked through Winter’s article tracing the history of evangelicalism and its relationship to social change. He divided the history into four ‘influences.’ The first was the First and Second Great Awakening. During this time there was a sense of coupling the gospel with social action due to a post-millenial view of the last days. That is, biblical interpreters believed the world would get better and better before Jesus returned to reign on earth. Christians would usher in the millennium through social change. The second influence was spawned by DL Moody’s ministry and dispensationalism. Due to the view of the last days, Christians believed that Christ’s return was immanent and that the world would progressively get worse. Since there was an emphasis on the unkown time when Christ would come, there was a fervency in decision-like evangelism. That is, people were pressed to make a decision before the end of the world came. The third influence is related to the resurgence of Kingdom of God language by such men as John Stott and Arthur Glassner. This phase in evangelical mission gives a holistic understanding of Gospel proclamation. The Kingdom of God is intended to spread to all corners of the earth. This includes teaching and healing. ((By the way, an excellent ministry that is doing this in a God-honoring way is a ministry I have supported in the past. I knew the, then, president (he was my landlord). Mission: Moving Mountains. )) Winter calls this the “Recovering of the First Influence.” He lables it (rather interestingly) the 4th Great Awakening. While this may seem a little over the top, is it? similar contribution to good works, small or large. In order for this renewed resurgence, and perhaps Great Awakening, we must see social change linked to Gospel teaching. May God’s Kingdom come through Christians spreading light through giving cups of cold water and their tunic. !! If you would like a copy of this article, let me know and I will send one to you.